Prepare the sauce in a bowl, and let the uncooked shrimp marinate for at least 30 minutes. Set aside and chop your favorite vegetables for the stir-fry. Heat 2 T. canola oil in a skillet. Add favorite vegetables plus 2 T. soy sauce and cook. 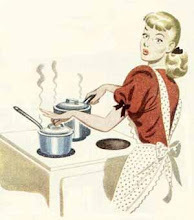 Remove from stove when finished and put in a separate bowl/on a separate plate. Add 2 T. canola oil into the same pan and cook shrimp plus marinade. 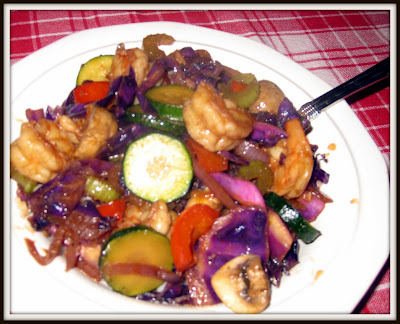 When the shrimp is cooked, add the vegetables and stir-fry everything together. Serve over hot rice.